Virtual Reality gaming has been around in one form or another for decades, always firing the public’s imagination but never quite managing to find a foothold in the market. However, the ‘reality’ we find ourselves inhabiting today is somewhat different. The immense power of present day consoles and desktop computers, coupled with the relative affordability of the hardware required for the task, has resulted at last in viable home VR platforms, with EVE: Valkyrie at the cutting edge of the VR gaming scene. The 1960s saw the first appearance of head-mounted and head-tracked VR displays, but it was in the early '90s that VR gaming became accessible to the general public in the form of Virtuality Group’s arcade machines. While giving us a tantalising glimpse at the possibilities for VR gaming, the huge cost of the units and relative crudeness of the games on offer meant that the project simply wasn’t viable. Similarly, a VR headset designed for Sega’s home consoles struggled to bring VR gaming to the masses with the hardware never actually making it to market. A failure, then? We shouldn’t be too quick to dismiss these early attempts, says Nejady. Despite the usefulness of these pioneering VR attempts in informing a roadmap for future forays into the medium, one problem from the early days persisted… the potential for motion sickness. Improved optics, high refresh rates and greater visual fidelity are now possible thanks to the current technology available and these mitigate any discomfort experienced to a significant degree. Even so, moving around a virtual 3D environment while stationary in the real world can still lead to problems, unless the developers get clever about it. But do you create the game first then work on the comfort, or the other way around? In the case of Valkyrie, it’s the latter. Many first-person games in VR rely on a neat but unrealistic system of rapidly teleporting the player from their present location to a designated target, thereby reducing the intervening rush of scenery and the head-spinning effects of virtual travel. 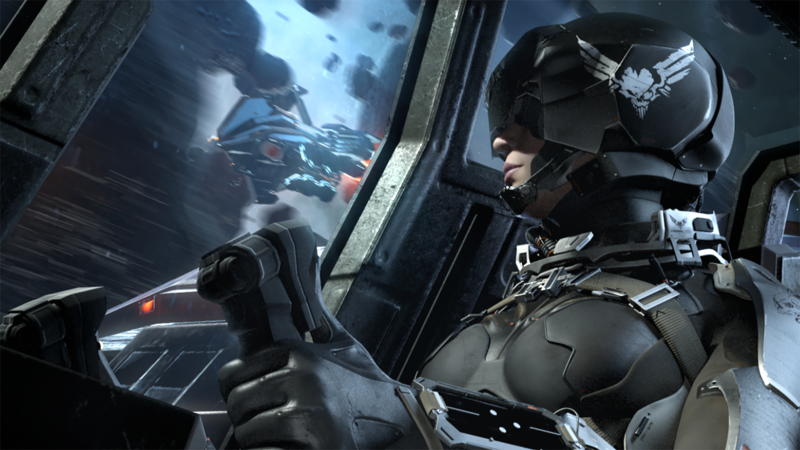 This is not necessary or, indeed, desirable in EVE: Valkyrie, as pilots want to experience constant motion and a maelstrom of sights and sounds in order to reproduce the thrill of what it must be like to pilot a starfighter. The fundamental difference with Valkyrie lies in your cockpit environment and the physical way you play. “In Valkyrie, we are fortunate in the sense that we have a seated game, played by people sat down.” explains Nejady. “Vehicular, seated movement, with legs advanced and hands in front, is something we humans are totally naturalised to thanks to chairs being used in cars, buses, planes and so on, and we are fortunate that people are comfortable with this situation in Valkyrie. It’s not just the pilot’s physical situation that affects the player experience. Careful consideration needs to be paid to what’s going on outside the cockpit, both in terms of scenery and scale. It became apparent during Valkyrie’s development that as long as the user feels a justifiable connection between their physical reality and their perceived reality (in VR), scale can play around with quite a bit in VR. Having scenery scaled in a way that feels right to the player is crucial. It might seem slightly counter-intuitive, but in Valkyrie, EVE: Online ships or assets are scaled up one and a half times to give an even greater sense of speed. The player is in a rocket powered spaceship, so this makes sense to them and they don’t have any kind of ‘golf cart’ identity crisis. 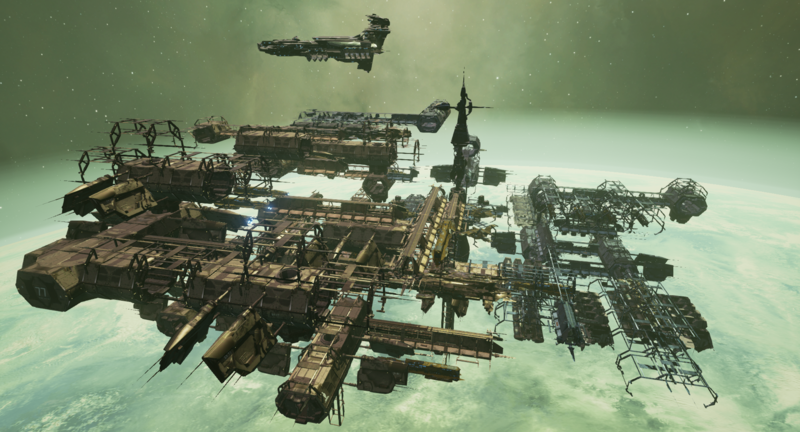 EVE: Valkyrie’s early maps provided a balance of cover and open space, but as each new map has appeared the designers’ ambition has grown, as has the complexity of the game’s environments. Indeed, as players will no doubt attest, with each new map comes a unique experience offering awesome new flying opportunities. Whether it’s jumping through the length of the Gateway, doing laps of its circular walkways to evade incoming fire, or hiding out in asteroid craters to lose missiles… it’s all good. 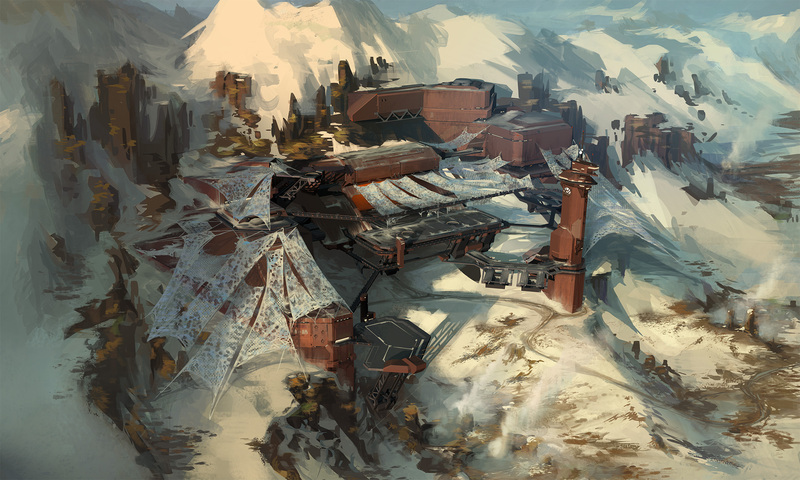 Which brings us up to date and the release of Valkyrie’s latest and most strikingly different map, Solitude. For the first time, Valkyrie pilots can take the battle planetside and this departure from the cold void of space brings with it unique design challenges. As Nejady explains, Solitude simply couldn’t have existed a year ago. It’s been quite a journey both for the team and the players and one that looks set to continue to surprise us at each new turn. A huge thanks to John for giving us an insight into how EVE: Valkyrie set the standard for VR gaming. 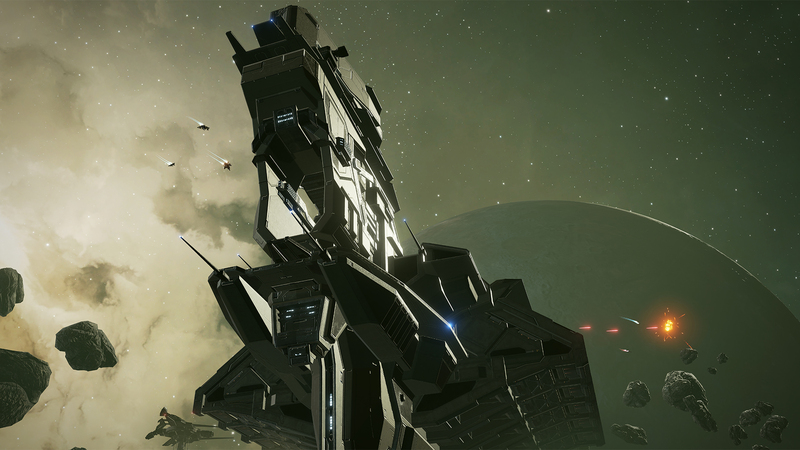 If you want to find out how the CCP Newcastle team approaches ship building in EVE: Valkyrie, check out our previous dev focus.